There is something otherworldly about the way finished encaustic pieces look. They foggy murkiness that hints at there being something hidden. I totally love it. 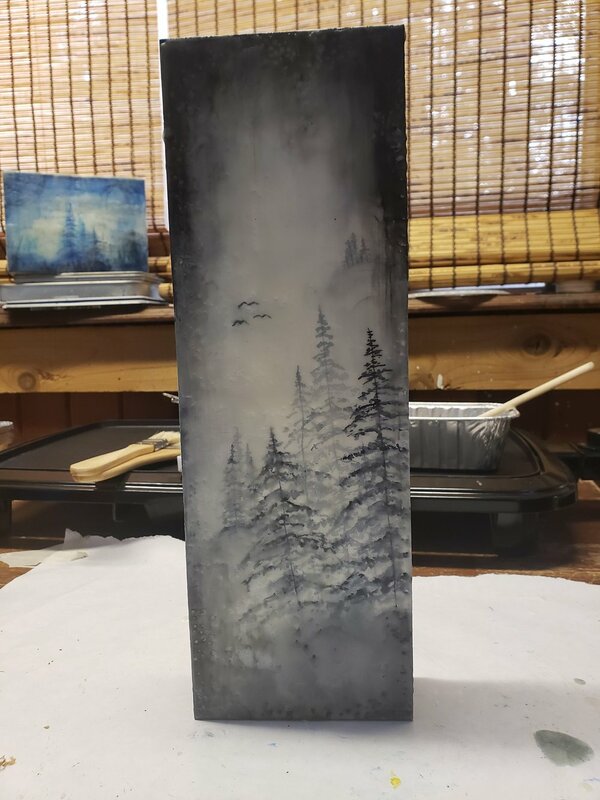 This piece is a watercolor misty forest painting on to a 4x12 inch cradled wood board. There is something about little misty trees that I love. The encaustic medium adds to the misty look and great texture. Before I started working with encaustic I didn’t realize how much I would enjoy the texture. Get updates from the studio.